Because my blog is beginning near the start of May, I thought I would go over a few things I've been loving from the month before. I've listed each item and why I'm loving it so much. I'd love to hear what your favorites are this month! Why I love it: This mask has a very thick consistency and goes on your face smoothly. I like the smell (kind of camphor/menthol-y). It really helps my skin on days where it feels like it has been through a lot. 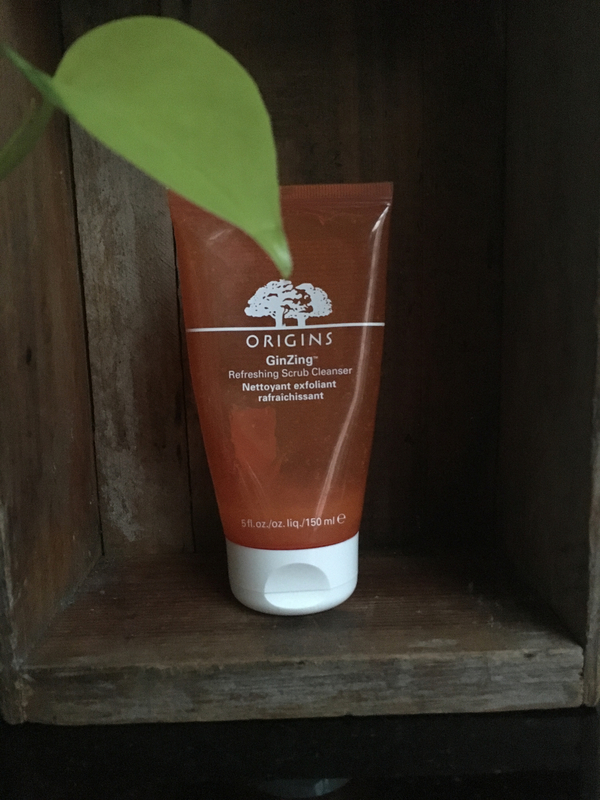 It calms redness and balances out my skin without contributing to any dryness. I also use this mask as a spot treatment as needed. I recommend this to anyone who feels their face needs some pampering and healing. Why I love it: You will probably see other posts that mention this cleanser. It is my every day go-to cleanser. First, it removes all of my makeup including mascara with no issue. I can't figure out why Origins doesn't mention this. I love trying new cleansers, but I always find myself going back to this. It smells amazing and leaves my face feeling clean without drying it out. It is a must-have for summer. If you're looking for a new cleanser I highly recommend trying this out. Why I love it: My main use for this soap is for cleaning my makeup brushes and beauty blender. It gets all of the makeup out of the brushes without damaging them and works well on the stubborn foundation marks on my beauty blender. I also use it to clean around the house, my favorite scent is the Almond, but they have plenty of other options including unscented if you prefer it. 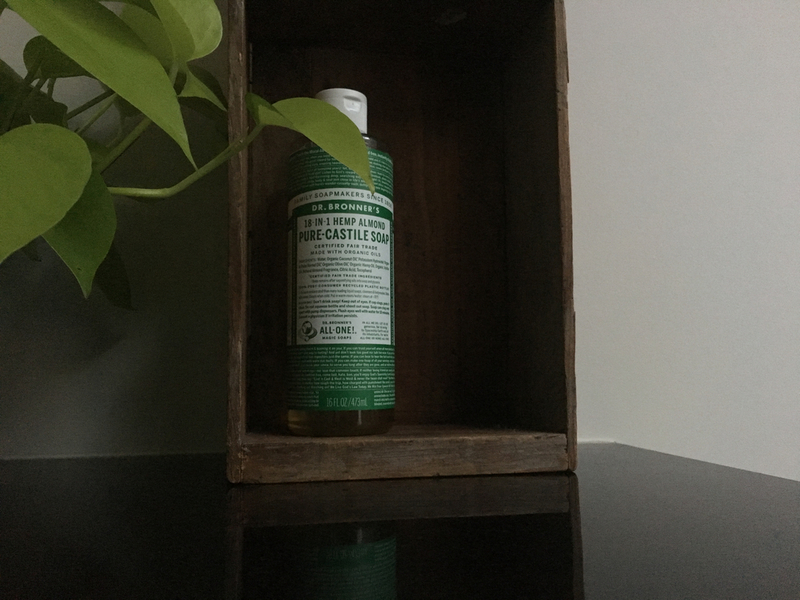 I will note that when I use this soap as a body wash, it does leave my skin feeling quite dry, I make sure to moisturize a little extra on those days. Why I love it: This deodorant smells really lovely (as do their other scents). It goes on smoothly and does not leave a lot of residue. It is free of parabens, petrochemicals, mineral oil, synthetic dyes, fragrance, and aluminum. To note, this isn't an anti-perspirant. In other words, you will sweat (as we naturally should) while wearing this. For me, this lasts throughout the day. I do reapply as needed before being active. They have a Sport Luxe version I am really eager to try for more active days. 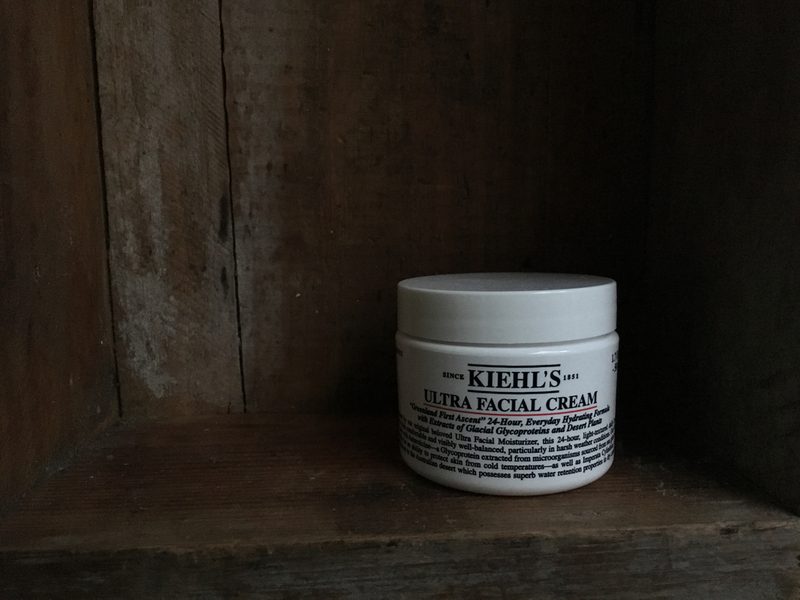 Why I love it: This face cream is light weight, but really moisturizes my skin. My skin can feel quite dry during the day. I find that this moisturizer (even under makeup) holds up well. It has a mild natural scent that I appreciate, because I'm sensitive to overpowering scents. Why I love it: This combination has really helped some discoloration I have on my face. It provides extra exfoliation and smoothing. After I use this combination at night with a moisturizer, I feel like my skin has a bit of an extra glow. To use I put on a thin layer of Good Genes (Lactic Acid Treatment) or Luna Oil (Retinol) and let it sit on my skin a bit before applying my moisturizer. Some nights I do a combination of both products, but I always use a moisturizer on top. These products are on the pricier side, but again when something works I don't mind investing in it. Why I love it: I started using this foundation about two weeks ago. I wanted to try it out because it is a water based foundation which I haven't used before. I have some areas of discoloration on my face so I prefer a medium-buildable coverage in a foundation. I try to stay away from foundations that are full coverage because I do like my real skin to show through a bit for a more natural look. This foundation has been really great so far. First it applies nicely, I use an angled kabuki brush for application. Using about 2-3 small pumps I can cover my entire face. I find the coverage to be medium but buildable and as you continue to apply more it doesn't look too thick or cakey. The concealer is a nice compliment to the foundation, I used the lightest shade for my under-eyes and found there to be limited creasing (I get some creasing with any foundation unless I set it with powder). 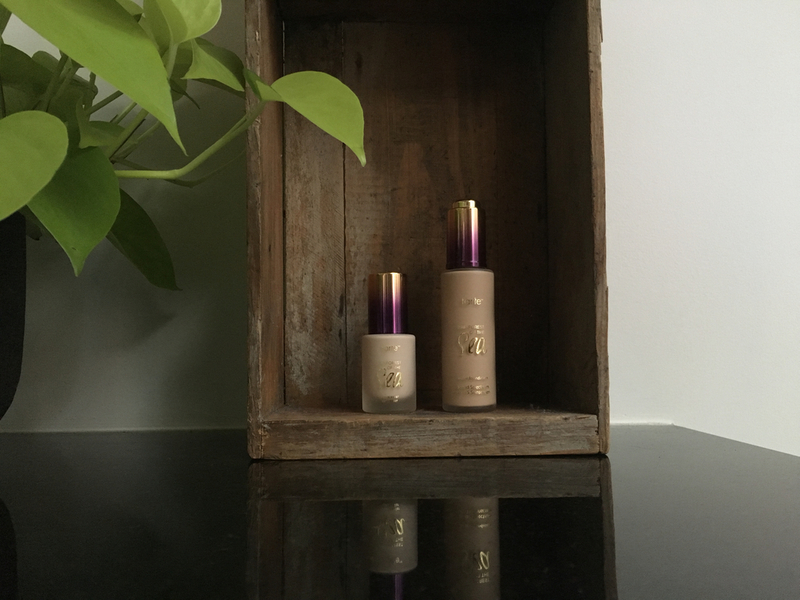 The concealer does have a stronger smell, not perfume-y, but more chemically. I would recommend going in-store to smell, yes smell, this concealer before purchasing---I can see how it would be off putting to some. I like this combination because it doesn't make my skin too matte/dry and it holds up nicely throughout the day. I find that I can work a full day without any touch ups. I chose the Light Sand (foundation) and Fair (concealer) shades. The Fair (concealer) is VERY light, but it is great for undereyes and brightening up your face. 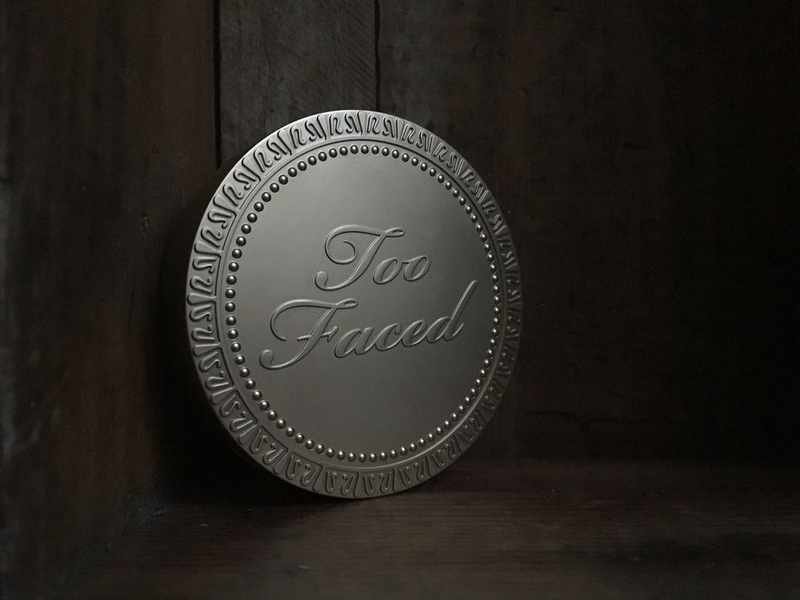 Why I love it: This bronzer has been my favorite, not just for April but for the past six months when I first began using it. As someone who isn't a huge chocolate fan I thought I would hate the scented formula---I was absolutely wrong, I actually enjoy it. It smells light and chocolate-y. The color is the perfect shade for light contouring and creating that summer glow. They have other color options if this looks too light or dark for your skin tone. The formulation across the shades is so amazing, it goes on smoothly and feels ultra-lightweight on your skin. It blends out perfectly. I highly recommend adding this to your summer makeup collection. I hope you have enjoyed hearing about what I am loving this month! If you're interesting in seeing a full skincare or makeup routine let me know in the comments.